Graduated in Mechanical Engineering, MSc in Energy Planning Program and DSc in Industrial Engineering from the Federal University of Rio de Janeiro (1995). President of Scientific Committee of Brazilian Panel on Climate Change. 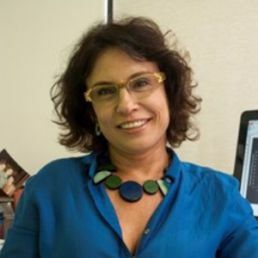 She was Sub Secretary of Green Economy of Rio de Janeiro State Government from 2010-2013 and she also worked at the Brazilian Federal Government as the National Secretary of Climate Change at the Ministry of Environment from 2008-2010. From 2008 to 2015, she took part of IPCC – Intergovernamental Panel on Climate Change board, as Vice President of Working Group III. She has published several papers and theses in the area of energy, transport, environment and climate change. In order to reduce climate change risks and the effort to adapt, the world needs to reduce significantly CO2 emissions and also consider negative emissions, so that we can keep carbon concentration in around 450 ppm. The ocean contains 50 times more carbon than the atmosphere, and it currently acts to reduce the pace of climate change, but this is at the expense of its warming and expansion with effects still little known. Adaptation through ecosystems is one of the best forms of climate adaptation. It refers to the maintenance of natural systems as a means of protecting climatic changes such as the mangroves that protect the coast from rising sea levels.